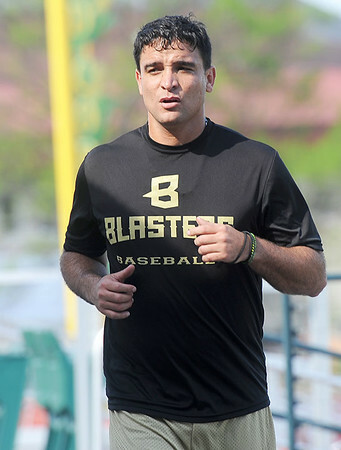 Blasters pitcher Jorge Martinez works out on his off day in Fargo, ND as he pursues his dreams of playing in the major leagues. Martinez said he misses his family in Cuba, including his nine-year-old daughter Chabely. Only his wife, Jennifer Fernandez, resides in the USA as part of the Cuban Family Reunification program.